WESTCHESTER SQUARE, Bronx (WABC) -- A man was punched in the face for no apparent reason on a Bronx sidewalk. 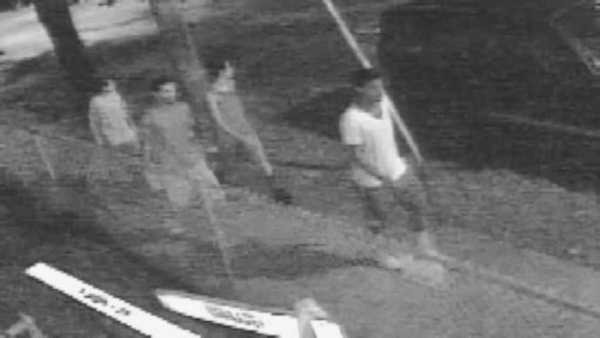 Police are now trying to identify a group of four men, one of whom was the alleged attacker. The incident happened Friday night on Overing Street in the Westchester Square section. Police say a 49-year-old man was walking down the street with a woman, when one of the four men walking in the opposite direction slugged him and then fled. One of the four males is described as a light skinned male who was last seen wearing a white T-shirt, socks pulled high and sneakers.